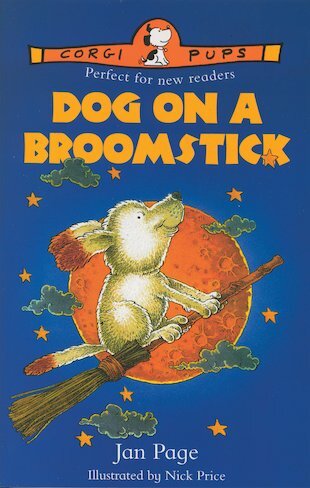 The Witch was hoping a new cat would help her win the Grand Spell Contest – but she’s ended up with a broomstick-riding dog! He can’t scratch… but he can dig big holes. He can’t hiss and spit… but he can growl. He can’t preen and purr… but he can dribble, and cover everything in muddy pawprints! Now the Grand Spell Contest is coming up, and the Witch urgently needs some help – from a cat. Is her dog on a broomstick going to send her barking mad? This is a realy good book because a cat goes missing, and the witch has to find a new cat, however she couldn’t. There came a knock on the door, and a dog wanted to be a witch’s dog.But does he get the job? Yes, he does get the job. I recomend this book for ages 6+.